Well Christmas is coming and I thought I would share with you all one of my Christmas creations. 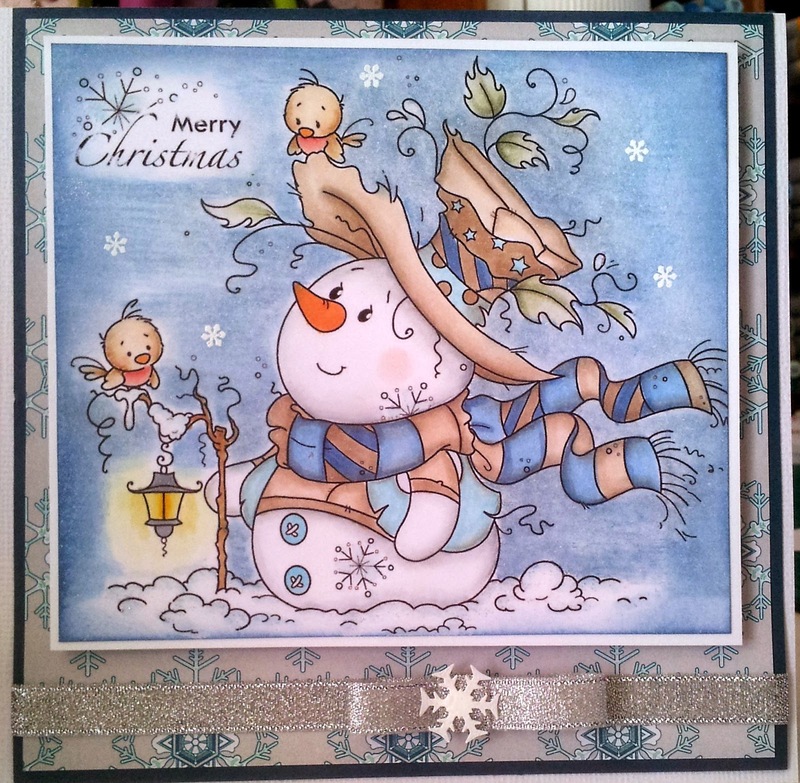 This is a digital image from Wee Stamps by Sylvia Zet called My Frosty, Wee Stamps has been one of my all time favourite images and no wonder isn't he adorable! I have used copic markers and prisma pencils to colour the image, and it was after the image was coloured that I decided he needed a night sky behind him, so I have done that with pencil only for a softer look, also added some cute little lawn fawn snowflake stamp with versamark and white embossing powder. The DP and CS is from Stampin up. The ribbon came from my stash and the snowflake on the ribbon is a punch from fiskars. This is just a little closer look at Mr Frosty, I forgot to mention that the matching sentiment comes free when you purchase the image. If you love your rubber stamps Wee Stamps do have rubber available Here there are some useful links to suppliers. How are you going with your Christmas cards? It's such a busy time for everybody. 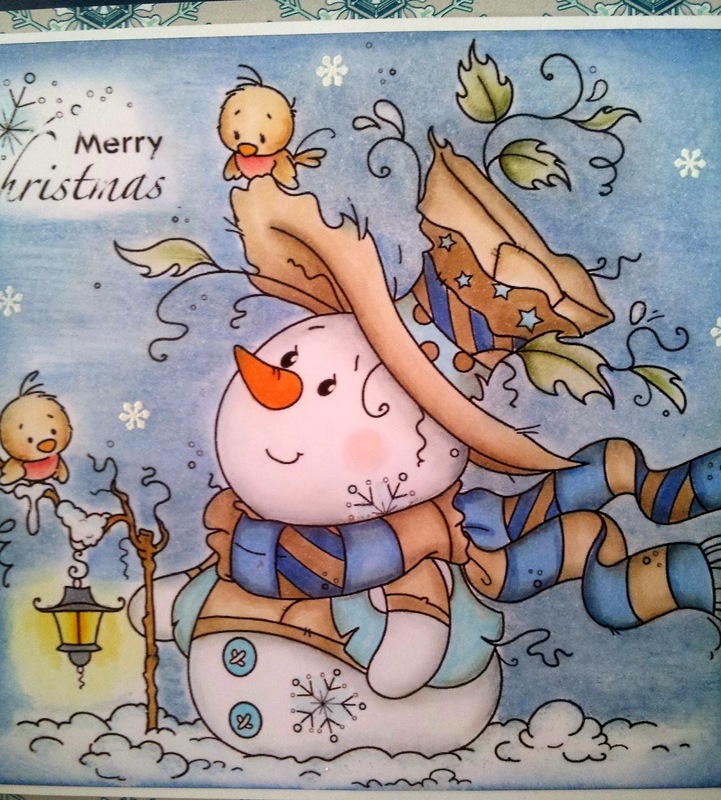 I hope you enjoyed my snowman card, and would love to hear your comments. I adore this snowman. He is sooo cute and the colouringwork is great! Thank you Lia for your kind words, he was really a joy to work on.